Hello everyone. It’s wonderful to have such a warm, welcoming and receptive group as we do in Quilting Grands on Facebook. I love our group! We’re about to embark on our very first quilting/photo contest and I’m hopeful all of our talented members will enter. 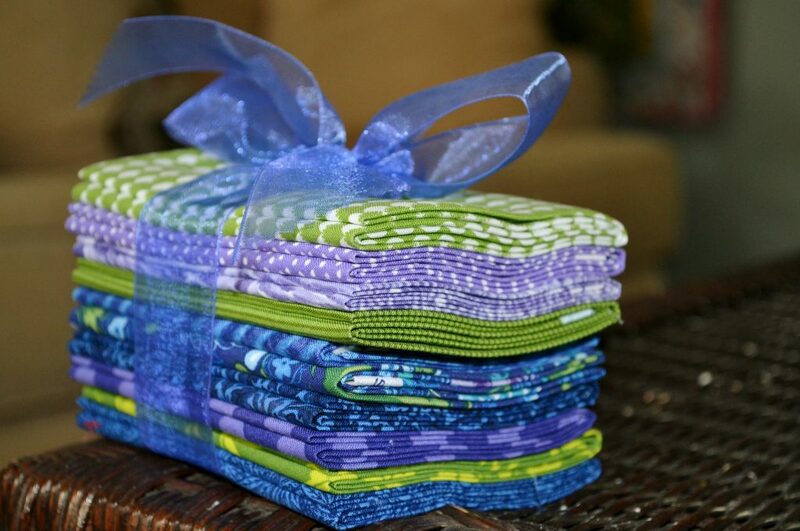 This is the prize that is up for grabs – a bundle of ten fat quarters, in rich blues, cool greens and perky purples. 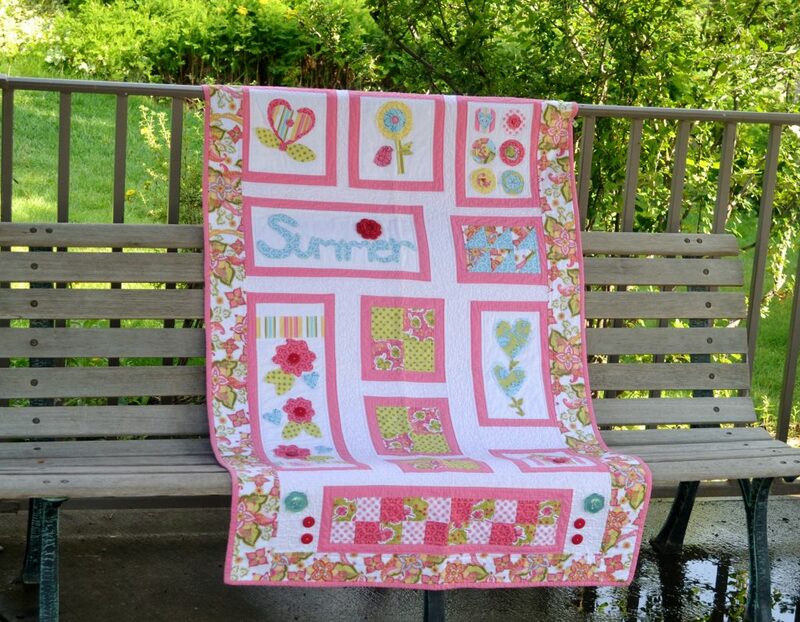 The fabric bundle was purchased from my favourite online quilting shop – Fort Worth Fabric Studio. 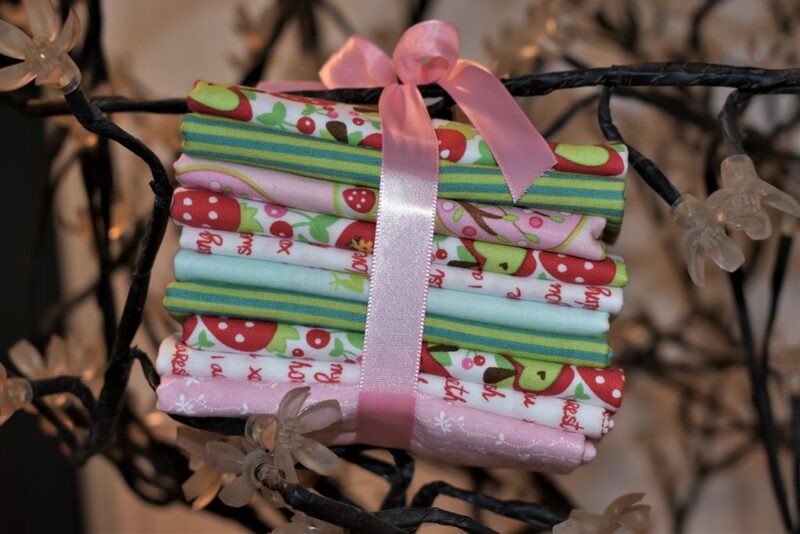 Ten – fat quarter fabric bundle. Okay, let’s get this show on the road. What we are looking for is great photos of your quilts, photographed OUTSIDE during the month of June, 2016. Since we have almost 2,000 members, each member can submit just two (2) entries. We are looking for interesting photos of your quilts in the great outdoors; in nature, at the playground, at the park, on a backyard fence…. wherever you choose. It won’t be your quilt that is judged for this contest but the photography of it – how you display your work in nature. Early morning sun or later afternoon sun is best. At these times of the day, there are less shadows and the light is not as intense as it is between 11 a.m. and 3 p.m. Some photographers only take their photos on overcast days; many turn off their flash when taking photos outside. 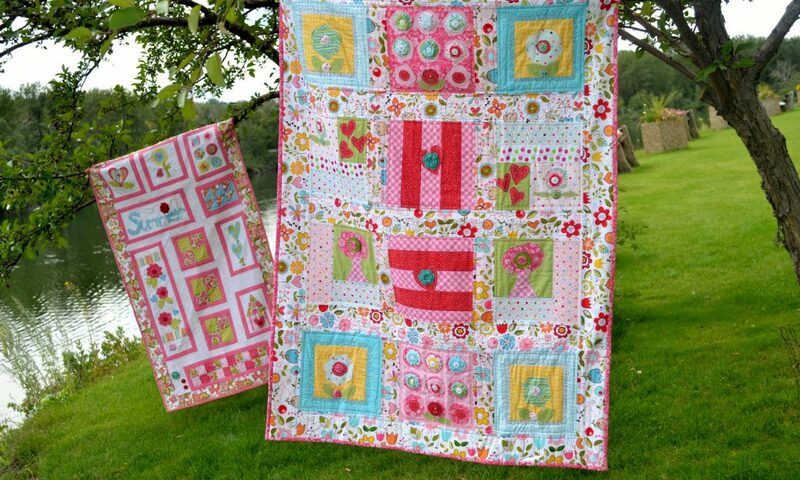 Avoid direct sunlight streaming onto your quilt as it will wash out the colours and diminish the quality of your finished product. Instead of having someone hold up your quilt, with their fingers in your photo, perhaps try using small, colourful, see-through clothespins like these. Look around your neighbourhood for interesting places to use as a backdrop. 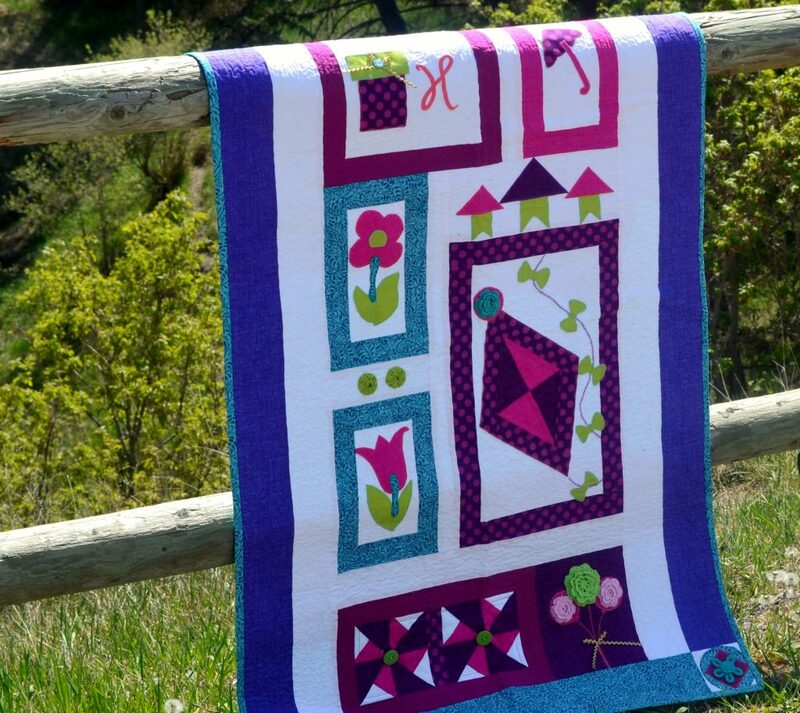 Treat your quilt as you would treat beautiful artwork, with respect and handle carefully. Of the two (2) entries allowed per member, it can be two different shots of the same quilt or two photos of different quilts – your choice. On July 1, 2016, we will choose three finalists from all photos received. Those three quilt photos will be singled out and posted on our group Facebook page and all members will be allowed to vote just once. The quilt photo with the most votes wins! The fabric bundle will be sent her way. So let’s have some fun with this. We are eager to see all your brilliant and beautiful ways of photographing your quilt outdoors. Bring on the entries!